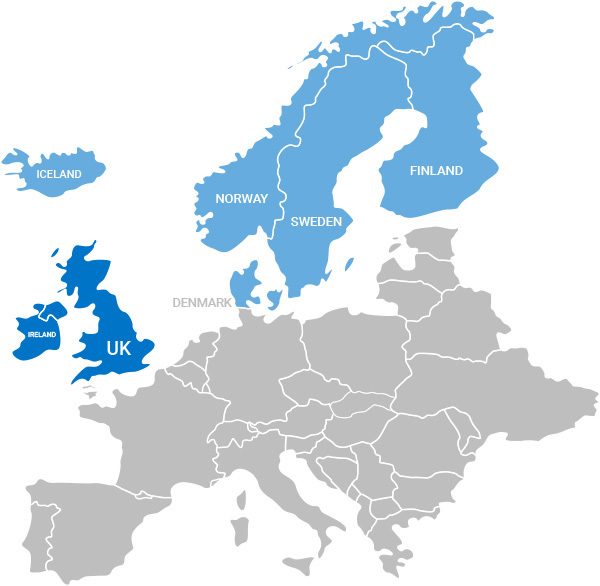 Blue Scientific is a distributor of market-leading scientific instrumentation for research, development and process control in both the academic and industrial markets across the UK, Ireland and Nordic region (Denmark, Sweden, Finland, Iceland and Norway). Blue Scientific Limited is registered in England and Wales with company number 8658405 and VAT Reg: GB 175 523793. We are proud to offer a portfolio of cutting-edge scientific instruments. Using our considerable experience, we select products that are market or technology-leaders in their field. We take a consultative approach to the buying process, investing time in understanding your applications requirements in detail. We organise workshops, sponsor conferences, share applications features and offer expert guidance to help you find the best instruments for your needs. Our head office is in Cambridge, with staff based locally across the UK and Nordic countries. We are selective in our portfolio and a trusted partner both for our customers and manufacturers, with a firm set of ethical practices. We offer a positive, supportive and rewarding work environment for our employees. We are committed to giving back to the community and STEM. We’ve donated to Sandback United Eagles U15 football team and also donated £1,000 to be awarded to a scientist doing their PhD in Cambridge, through CSAR (Cambridge Society for the Application of Research). Blue Scientific was founded by Tom Warwick and Stephen Badger, who both have extensive experience in working at executive level in some of the world’s largest and most successful scientific instrumentation companies. EVP Global Sales for Bruker Nano Surfaces (formerly Veeco Metrology), responsible for Atomic Force Microscopy (AFM), Stylus and Optical Metrology (SOM) and Tribology and Mechanical Testing (TMT) product lines. Various sales and sales management positions at Veeco Metrology since 2000. Applications Scientist for Uniscan Instruments, working on scanning electrochemical techniques including Scanning Vibrating Probe (SVP), Scanning Kelvin Probe (SKP) and Localised Electrochemical Impedance Spectroscopy (LEIS). PhD in Corrosion Science from the Corrosion and Protections Centre at UMIST (now the University of Manchester). BSc in Applied Chemistry from the University of Portsmouth. General Manager of the Nanofabrication Systems division of Nanoink, responsible for identifying new products for new markets in life sciences and academic research. Based in Chicago, Illinois, for three years. Variety of positions at Veeco Instruments from 1998 onwards, including Managing Director Europe, responsible for all products including deposition systems, and VP Global Sales for the instrumentation division. Started in nanotechnology in 1993 working for a UHV STM company with global sales responsibility. Experience in the analytical instrument and recruitment industries. BSc in Cell and Molecular Biology from the University of Essex.